My lil brother killed his first turkey this morning. 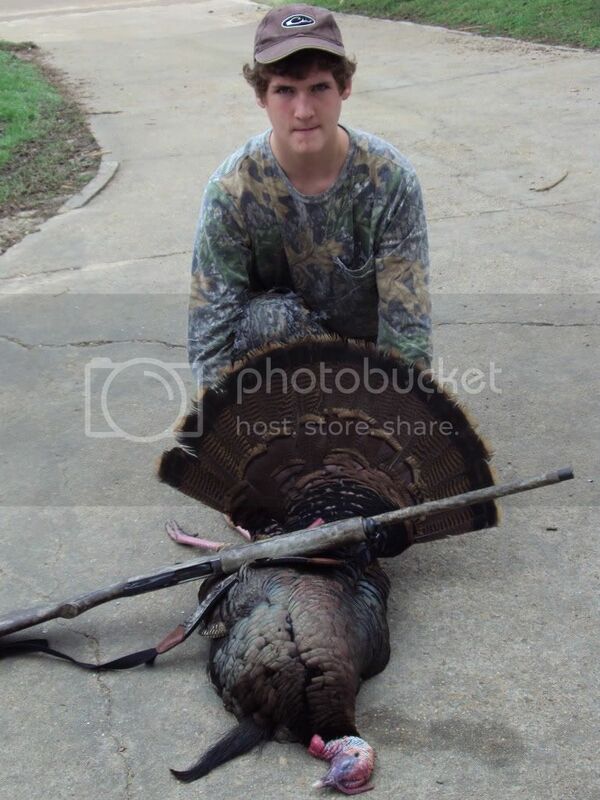 we had birds all over and we got this one in at 7:15 and he got it!! im pretty pumped for him!! !